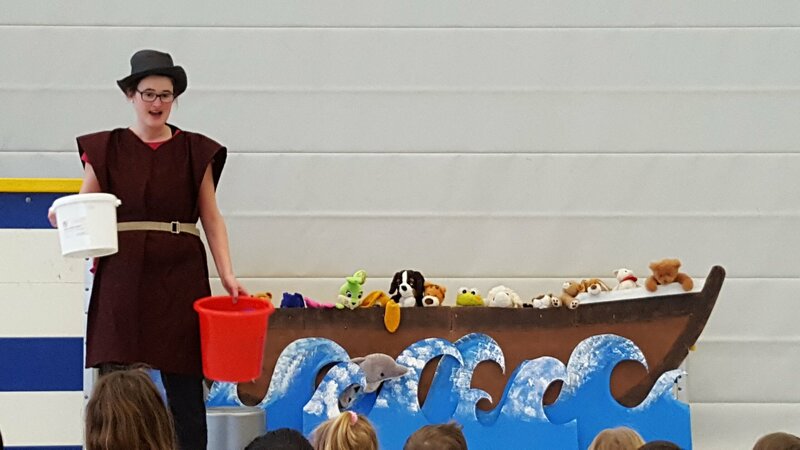 Every Wednesday participants of the discipleship training programme MDT Hope for Zurich gather children ages 4 to 11 at a local church's facilities for Kids Treff—an afternoon of storytelling, teaching, play and fun. The kids come from many different cultures, various countries and completely different religious backgrounds. The combination is not always easy as frictions are pre-programmed. The OM team finds it very interesting to share God’s love with such a group, but they admit it also takes a lot of energy and is very tiring. Debora continues, “It was one of these afternoons again. This time, the teasing and fighting went so far that it became impossible for the staff to explain the rules of the next game. Don't assume that just kids hailing from other countries were causing unrest; the Swiss-born kids behaved just as poorly. “We, the team, met in prayer, to ask the Lord to help us find new ideas to meet the challenge we were facing. Somebody came up with the idea to design a Kids Treff T-shirt to create an identity: a feeling of belonging. Kids Treff values would be communicated by wearing such a shirt. The shirts would be worn to all our meetings. Our idea was meditated on and finally dropped—too many unsolved questions, especially in accommodating the requirements of different seasons. The team agreed that braiding bracelets was a total success! Everyone did their best, and everyone had a good time. In this way, children coming from all over the world, from different backgrounds and from many religions, melted into a one functioning, teachable group, tied together by a simple bracelet.